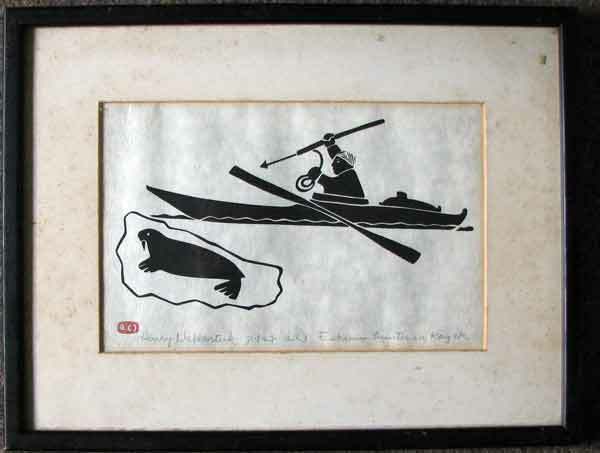 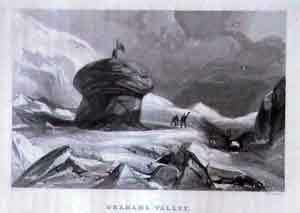 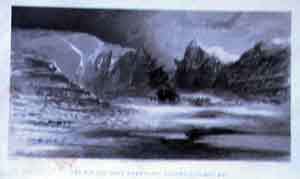 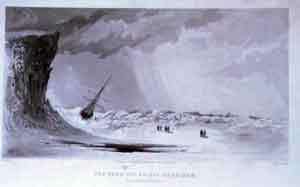 Polar Regions, Greenland etc | Original | Prints | from Heatons . 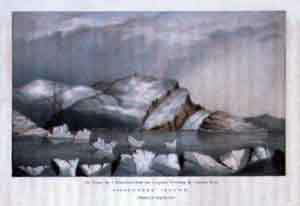 The Polar Regions, Greenland etc . 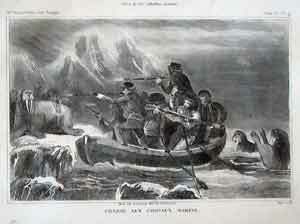 Sir John Ross, CB, (24 June 1777 – 30 August 1856) was a Scottish rear admiral and Arctic explorer.Ross was the son of the Rev. 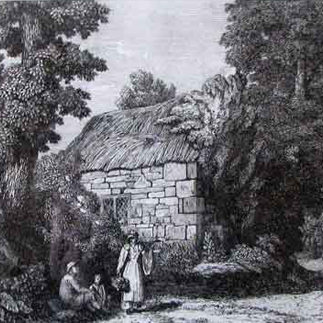 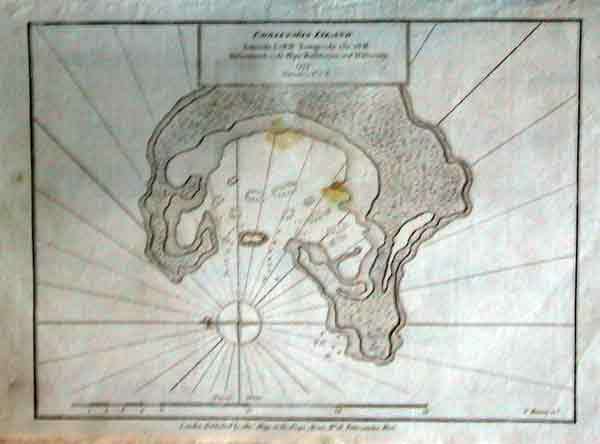 Andrew Ross, minister of Inch, near Stranraer in Scotland. 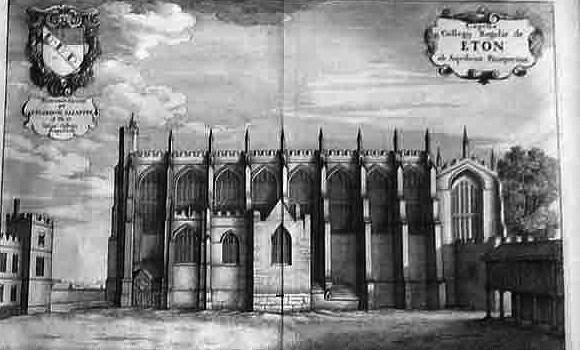 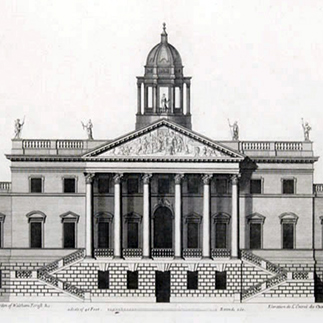 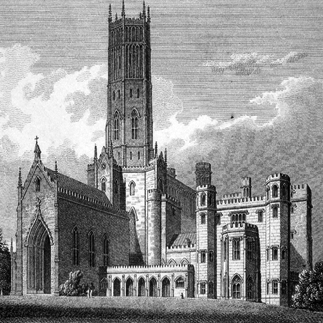 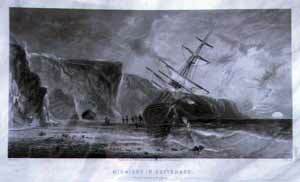 In 1786, aged only nine, he joined the Royal Navy as an apprentice. 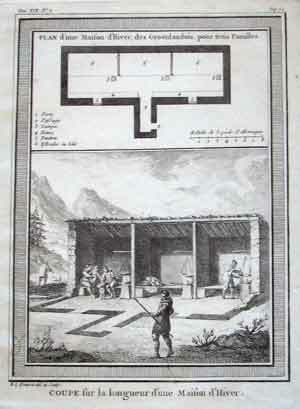 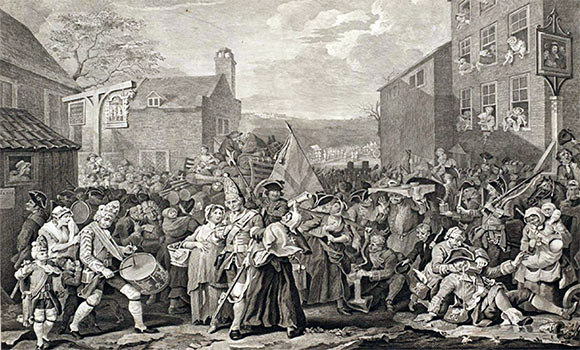 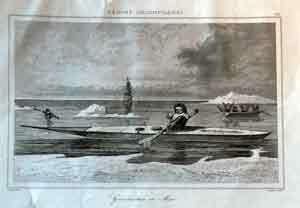 He served in the Mediterranean until 1789 and then in the English Channel. 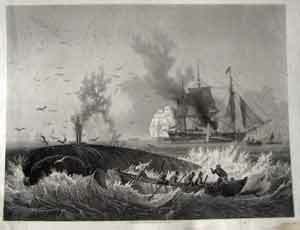 In 1808, he acted as a captain of the Swedish Navy and in 1812 became a Commander.He left in May 1829 for a second expedition , this time on the Victory, a side-wheel steam ship. 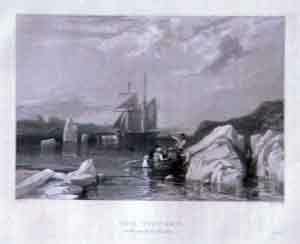 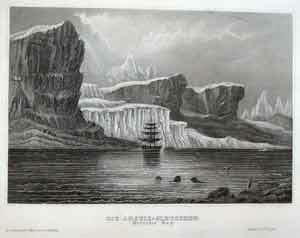  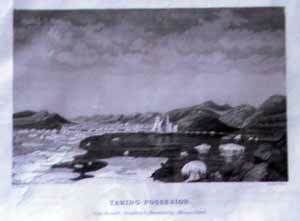 They sailed past Lancaster Sound to a previously unexplored area, where their ship became stuck in the ice. 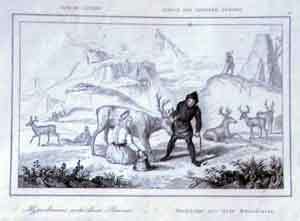 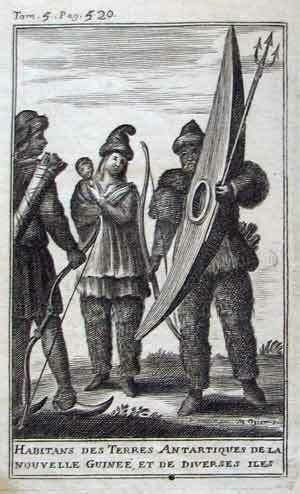 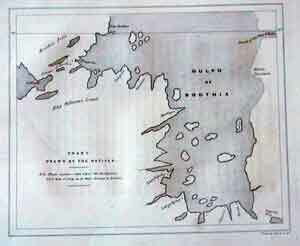 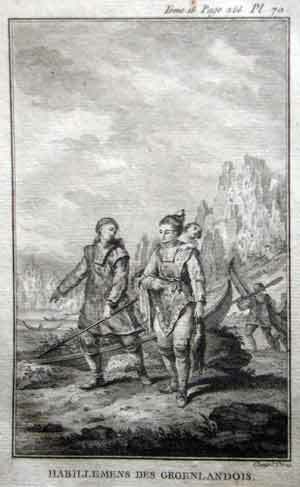 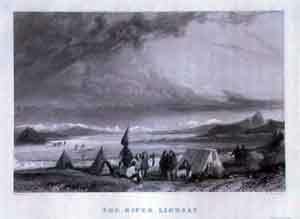 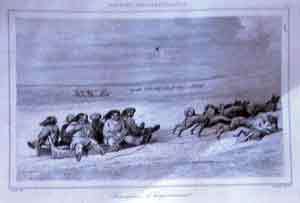 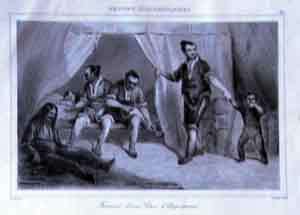 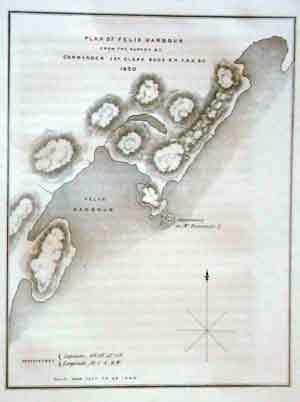 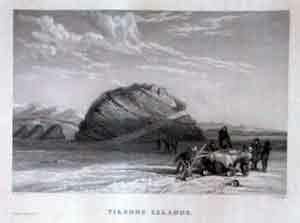 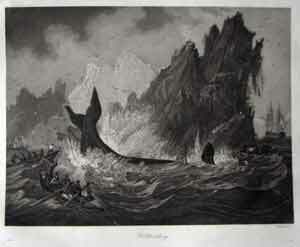 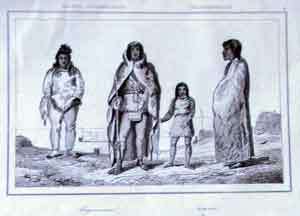 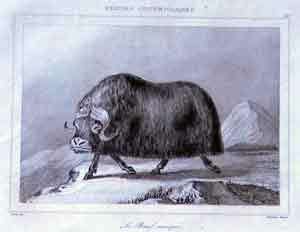 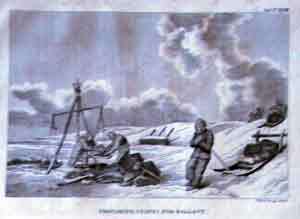 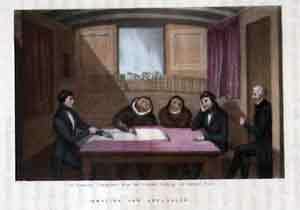 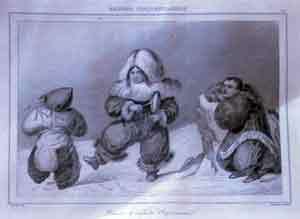 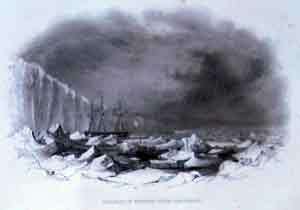 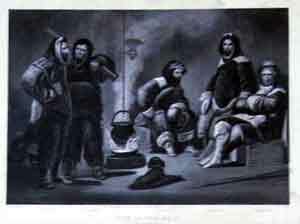 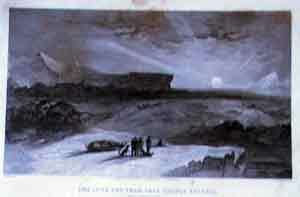 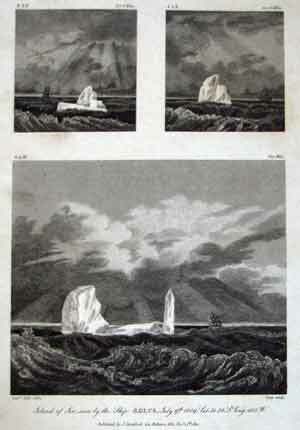 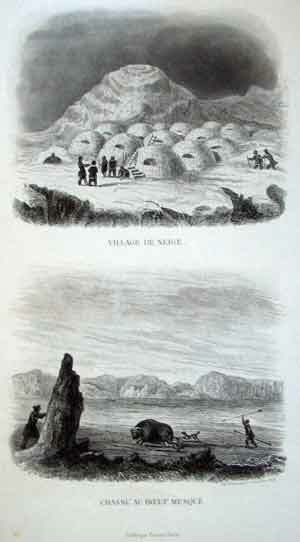 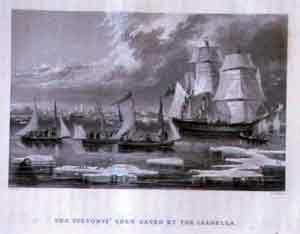 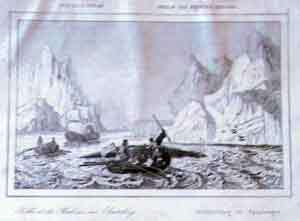 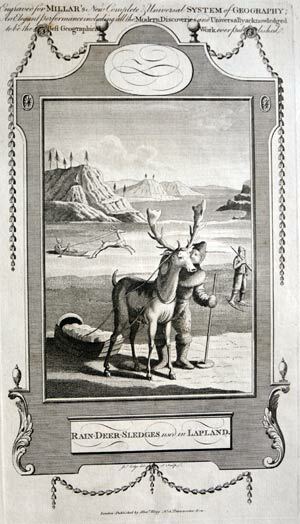 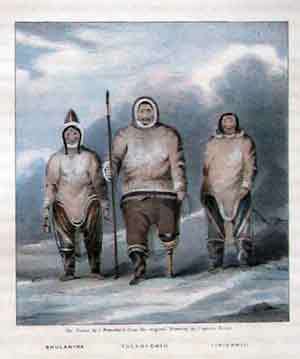 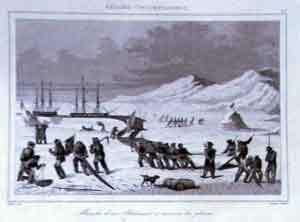 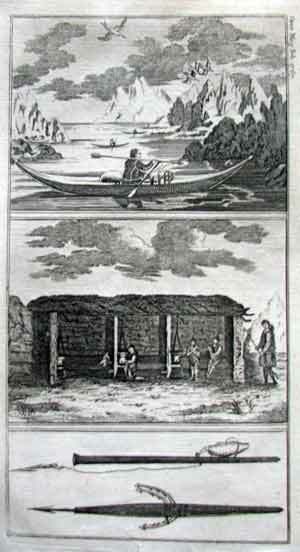 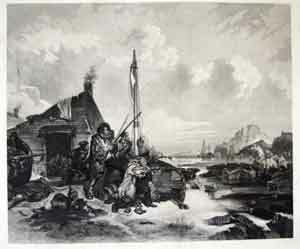 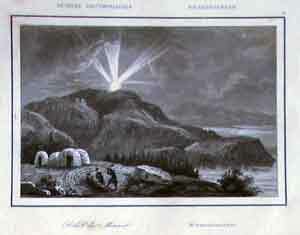 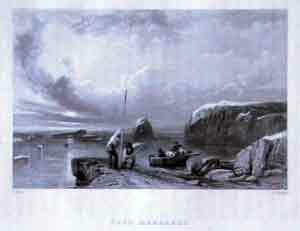 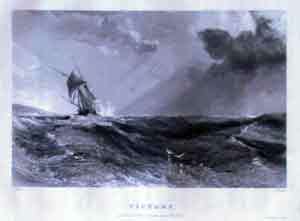 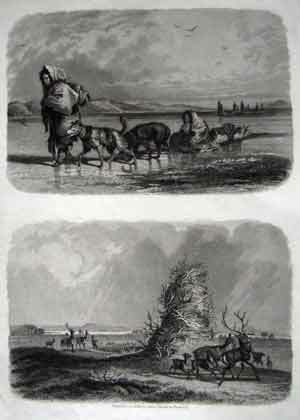 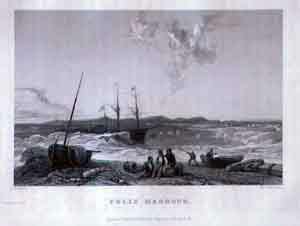 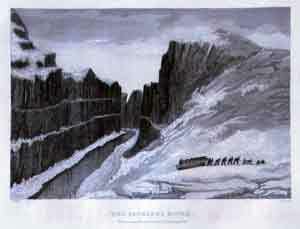 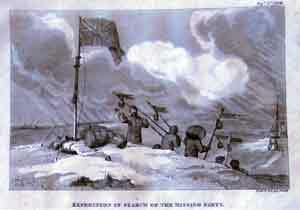 The crew was stranded for four years, during which they explored the regions to the west and north, with the help of local Inuit. 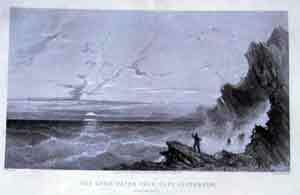 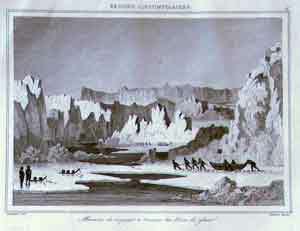 On one of these explorations, Ross found the magnetic north pole on the Boothia Peninsula.In 1832, Ross and his crew abandoned their ship and walked to another shipwreck which had been abandoned by a different expedition many years earlier. 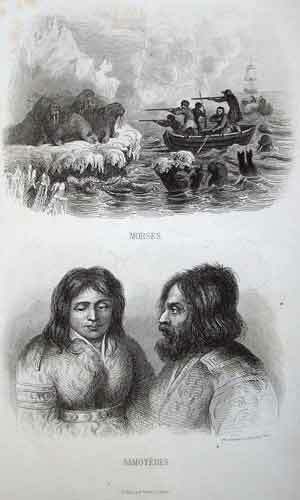 A year went by before a break in the ice allowed them to leave, on that ship's longboats. 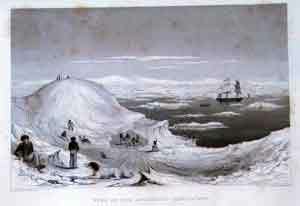 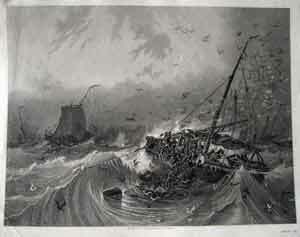 They were eventually picked up by a British vessel and taken home. 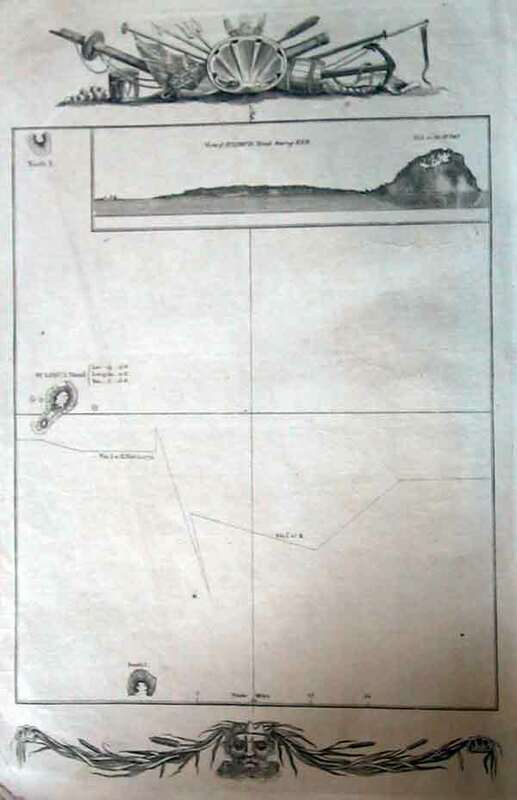 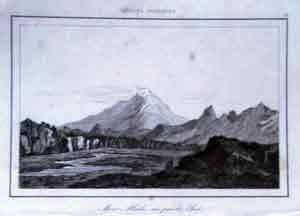 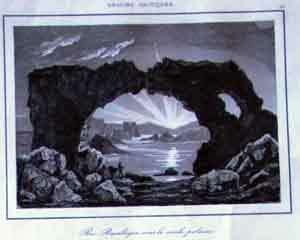 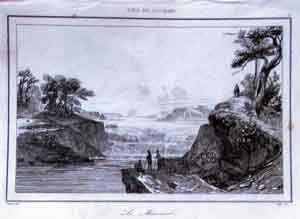 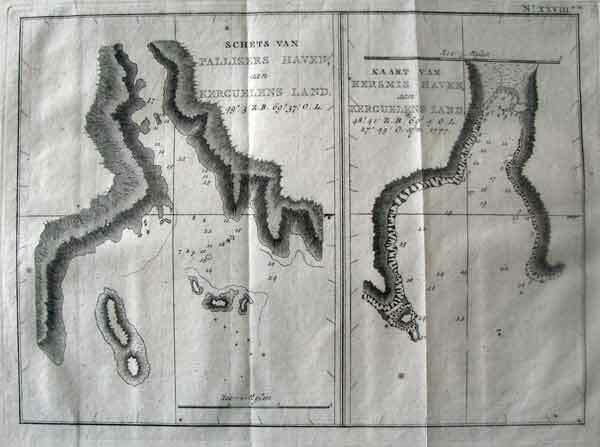 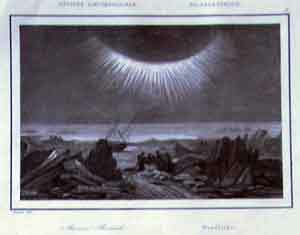 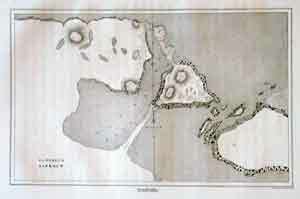 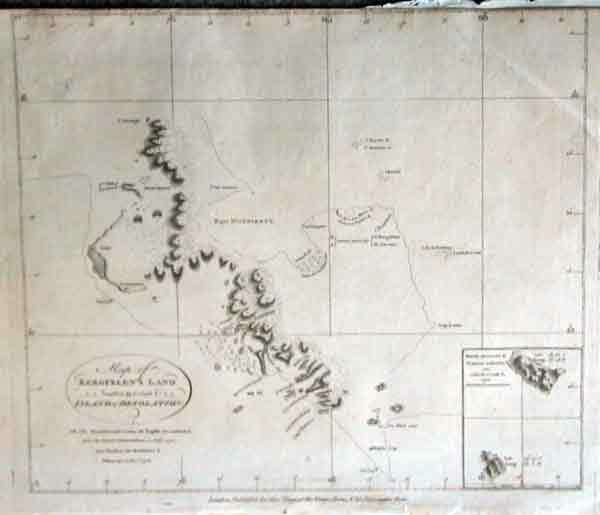 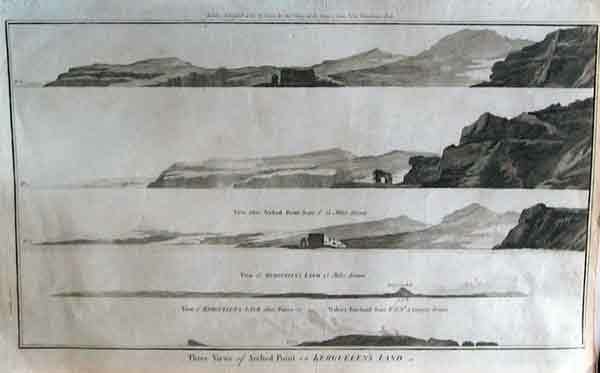 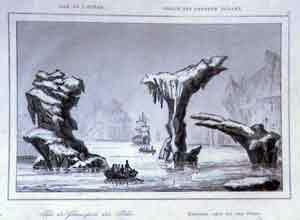 "Schets van Pallisers Haven aan Kerguelens Land / Kaart van Kersmis Haven aan Kerguelens Land"
"Island of Ice seen by the ship Aeolus, July 9th, 1809, Lat 51.36 S, Long 130 W"
Steel engraving Drawn by Vernier engraved by Augustin Francois Lemaitre, Published 1839 by Firmin Didot Freres (Paris) from ... 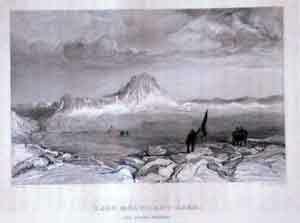 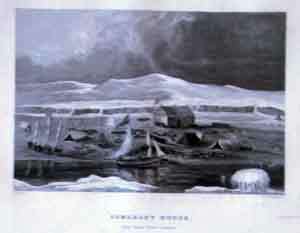 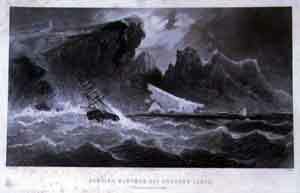 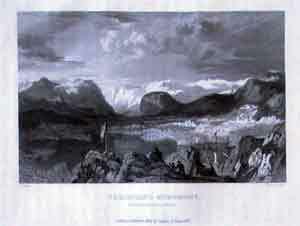 Commander Bory de Saint-Vincent ... . and Frederic Lacroix "Histoire et description des iles de l'Ocean"
View of the Antarctic Continent. 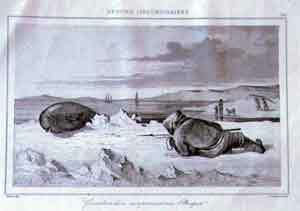 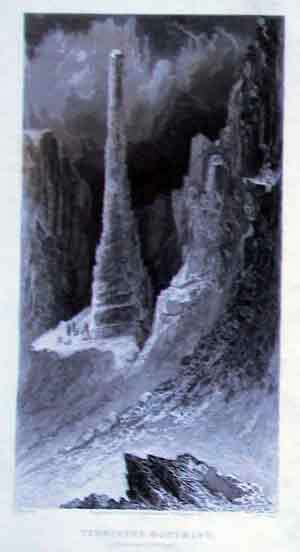 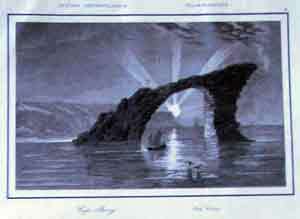 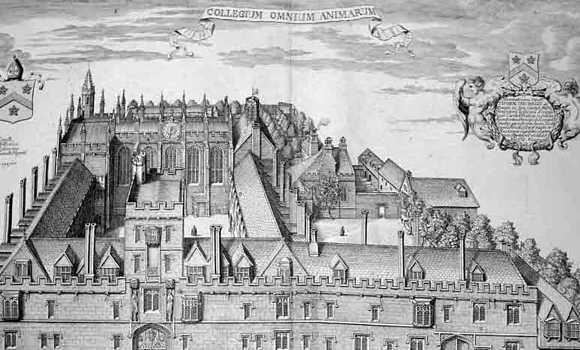 Peacock in contact with ice-berg. 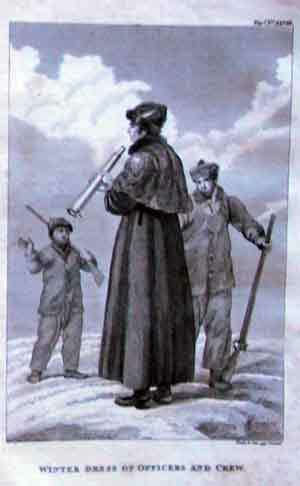 Winter dress of officers and crew.